After much reading and studying about crowdsourcing (articles, books, blogs, etc..) the time to taste a bit of reality (of the harsh reality) has arrive, so in recent months I have been preparing a crowdsourcing initiative that I launched exactly one week ago. This initiative is a junction point between my two study areas (crowdsourcing and social tagging), making it the coup de grace that needs my PhD. In his book “Crowdsourcing: How the power of Crowd id Driving the future of Business”, Jeff Howe explains that there are 4 different types of crowdsourcing initiatives: crowdwisdom, crowdproduction, crowdfunding and crowdvoting. Although soon I will write a post describing each of these types of crowdsourcing initiatives, for this post I want to define what Jeffrey Howe called crowdvoting. 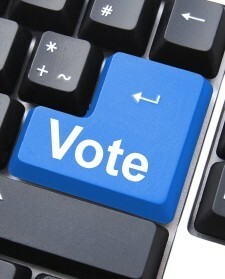 Crowdvoting is basically a crowdsourcing initiative involving tasks designed to obtain the points of views of users, the opinion from the crowd. Threadless, for example, in addition to allow users to design models of T-shirts, it allows the crowd to vote and select which models they like. Those designs that receive the most votes will be printed on T-shirts that will go on sale. Another example is ModCloth, a clothing store, with its initiative Be the Buyer. In this initiative, the clothing store allows the crowd to participate and vote and comment on certain models to see if those models can be sold from the online store. As seen in these two examples, it is usual to obtain the views of people through comments or via votes (“Like”), but there are other ways to collect the votes of the people. Ways that provide more information than just “I like” or “I do not like”, such as social tagging (usually crowdsourcing has been useing tagging to describe and categorize images or to identify elements within them). And here is where my crowdsourcing initiative appears. What I’ve done is to design a crowdvoting initiative where information is obtained from the tags entered by the crowd. A furniture company from Valencia, Chair’s Collection, has decided to be the subject of this initiative. Using WordPress (fantastic tool) I created a section on the website of the company where the crowd should express their views about two particular models of chairs using tagging. Although at the beginning I didn’t wanted to, I have had to add a “Like” button and a “I do not like” button. The reason? In another post I’ll tell you, along with a lot more things … because I’m learning in this initiative many things that don’t appear in books. In exchange for participation in this initiative, users receive a 15% discount on products of this firm and the possibility of placing a link in a section created ad hoc. So far 96 people have participated, do you want to participate?